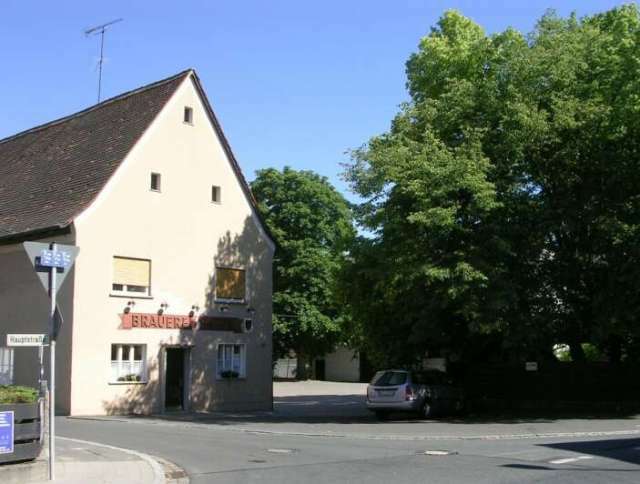 Because there are at least 3 or 4 breweries bearing the name "Sauer" in Franken, it's understandable that the photo above is of one of the other ones (the one in Gunzendorf), and not of the one actually in RÃ¶ttenbach. Here's the one in question: http://i80.photobucket.com/albums/j175/erlangernick/sauer_roettenbach.jpg Regardless, this is my favorite brewery within a 10-15 km bike ride of home. The Export lager is always fine, and the locals always welcoming. The bottled Festbier I picked up there the other day (early April--I don't know when it was brewed or for which Fest) was also just fine. The small Biergarten under the big tree in the photo is wonderful in summer. Visited on a Saturday lunchtime. Bus from Erlangen bus station (west side of the railway station - stand 1 and at 5 past each hour). Took 25 minutes. Get off at the stop after the DIY store and you are right by the pub. Beer and Schnitzel was order of the day and well worth the trip. Cracking in every sense of the word. Will return as it's easy to get to and back from. I can see why Nick likes this place. It was very peaceful under the trees. My only critisism of the place was that the garden had a very strange smell eminating from the hard earth floor. I don't know whether it was soaked with stale beer, or had been watered down to keep the dust down, with some wierd chemical. My bag (which I placed beneath the table) had to be washed on return to the UK to get the smell out of it. Which number is highest 83 or 89?